The Breguet 19 (Breguet XIX, Br.19 or Bre.19) was a light bomber and reconnaissance plane, also used for long-distance flights, designed by the French Breguet company and produced from 1924. The Breguet 19 was designed as a successor to a highly-successful World War I light bomber, the 14. Initially, it was designed to be powered by a 450 hp/335 kW Bugatti U-16 engine, driving a four-blade propeller, and such a prototype was shown on the 7th Paris Air Show in November 1921. A new design was flown in March 1922, featuring a conventional layout with a single 336 kW (450 hp) Renault 12Kb inline engine. The aircraft was built in a biplane platform, with shorter lower wings. After trials, the Breguet 19 was ordered by the French Air Force in September 1923. The first 11 Breguet 19 prototypes were powered by a number of different engines. A "trademark" of Breguet was the wide usage of duralumin as a construction material, instead of steel or wood. At that time, the aircraft was faster than other bombers, and even some fighter aircraft. Therefore, it met with a huge interest in the world, strengthened by its sporting successes. Mass production, for the French Air Force and export, started in France in 1924. The Breguet 19 was a biplane (sesquiplane), conventional in layout, with braced wings. The fuselage, ellipsoid in cross-section, was a frame of duralumin pipes. The front part was covered with duralumin sheets, the tail with canvas. The wings were canvas covered. It had a conventional fixed landing gear with rear skid. The crew of two, pilot and observer/bombardier, sat in tandem in open cockpits, with dual controls. Farman 12We (373 kW/500 hp). They carried 365 L (96 US gal) of fuel in a fuselage tank. The propeller was wood. A fixed 7.7 mm (.303 in) Vickers machine gun with interrupter gear was operated by the pilot, while the observer had twin 7.7 mm (.303 in) Lewis Guns. There was also a fourth machine gun, which could be fired by the observer downwards through an opening in a floor. The CN2 night fighter variant was fitted with two pilot's machine guns. The bomber variant could carry up to 472 kg (1,041 lb) of bombs under the fuselage, or in a vertical bomb bay (small bombs up to 50 kg/110 lb). The reconnaissance variant could carry 12 10 kg (20 lb) bombs. The reconnaissance variant had a camera mounting, which was optional on the bomber variant. All variants had radio. Br.19.01 was the first Breguet 19 prototype which first flew in March 1922. It was later bought by the Spanish government. Pre-production aircraft, whose fuselage was lengthened by 60 cm. Br.19.02 was sent to Yugoslavia for evaluation in 1923. Two-seat light bomber biplane. These first two variants were the most numerous, and were practically identical. They used a variety of engines, the most popular being the 298 kW (400 hp) Lorraine-Dietrich 12Db inline V12, the 336 kW (450 hp) Lorraine-Dietrich 12Eb W12, the Renault 12K, the Hispano-Suiza 12H and the Farman 12W. Night fighter version, almost identical to the B2 reconnaissance variant with two additional forward-firing machine guns. Built in 1927 with various aerodynamical refinements and 3,735 L (987 US gal) of fuel in the fuselage. With an additional fuel tank in the wing, the total fuel capacity was 4,125 L (1,089 US gal). Five were built by Breguet and two by the Spanish company CASA. Three of the French aircraft had a 600 hp Hispano 12Lb, one had a 550 hp Renault 12 kg, and one had a 450 hp Lorraine 12Eb. The first Bidon Hispano was sold to Belgium, and the Bidon Renault was sold to China after a Paris-Beijing flight. The third Bidon Hispano became the French Br.19 TF. The second Spanish Bidon was christened Jesx�s del Gran Poder, and flew from Sevilla to Bahia (Brazil). The last and most advanced long-distance variant, built in 1929, and designed for transatlantic flight. The French Super Bidon was the third Br.19 TR Hispano, named Point d'Interrogation, with a modified fuselage, a wingspan of 18.3 m (60 ft), and 5,370 L total fuel capacity. It was powered by a 447 kW (600 hp) Hispano-Suiza 12Lb engine (later replaced by a 485 kW/650 hp 12Nb). Another aircraft, with a closed canopy, was built in Spain in 1933. Christened Cuatro Vientos, it flew from Sevilla to Cuba, and disappeared while attempting to reach Mexico. Utilizing the experience with long-distance variants, this improved reconnaissance variant was developed in 1928, maybe for export purposes. It remained a prototype only (with civilian register F-AIXP). The most popular of the late variants developed in 1930 with a 447 kW (600 hp) Hispano-Suiza 12Nb engine, giving a maximum speed of 242 km/h (150 mph). The first five machines were converted in France for Yugoslavia, then a number were built in Yugoslavia, and a further 50 built in France for export to Turkey. With a 582 kW (780 hp) Wright Cyclone GR-1820-F-56 radial engine, 48 Br.19.7 airframes were eventually completed as Br.19.8's in Yugoslavia. Their maximum speed was 279 km/h (173 mph). A single prototype developed in Yugoslavia with a 641 kW (860 hp) Hispano-Suiza 12Ybrs engine. A single prototype developed in Yugoslavia with a 536 kW (720 hp) Lorraine-Dietrich 12Hfrs Petrel engine. Fitted with twin floats as a seaplane, a single prototype (no.1132) was produced for France. Another aircraft sold Japan was fitted with floats built there by Nakajima. Some modified civilian variants of the Breguet 19 were developed, such as the Br.19T, the Br.19T bis and the Br.19 Limousine (for six passengers, with a thicker fuselage), but these were never built. These were used in limited numbers in France and Spain. In total, more than 2,000 Breguet 19s were manufactured in France, and about 700 license-built by Spanish CASA, Belgian SABCA and the Yugoslavian factory in Kraljevo. Argentine Air Force operated 25 aircraft. Belgian Air Force bought six Br.19 B2s in 1924, and further 146 A2s and B2s were manufactured in under licence by the SABCA works in 1926-30. They were powered with Lorraine-Dietrich 12Eb and Hispano-Suiza 12Ha engines, and used until the mid-1930s. Bolivian Air Force bought ten aircraft and used them during the Chaco war against Paraguay. Brazilian Air Force operated five aircraft. Chinese Nationalist Air Force received four aircraft bought by government. Manchurian warlord Zhang Zuolin bought 70 aircraft. Zrakoplovstvo Nezavisne Države Hrvatske seized 46 aircraft used for anti-partizan missions. French Air Force operated their first Breguet 19s in the A2 variant from the autumn of 1924, the B2 variant from June 1926, then the fighter C2 and CN2 variants. In the late 1920s and early 1930s, they were the most numerous French combat aircraft. In metropolitan France, they were withdrawn from service in the early 1930s; the last Br.19 CN2 was withdrawn in 1935. Until 1938, they were still used by the French Air Force in colonies in the Middle East and North Africa - among others, they were used there to suppress native rebellions. Hellenic Air Force acquired 30 Breguet 19 A2s and some were used against invading Italian forces in 1940, delivering valuable information on Italian movements. Regia Aeronautica bought one aircraft for tests. According to some publications, Japan bought a number, and they were license-built in Nakajima, though this is not confirmed, apart from the two aircraft bought by the Asahi Shimbun newspaper. Persian Air Force operated two aircraft. Polish Air Force bought 250 Breguet 19 A2s and B2s, with 336 kW (450 hp) Lorraine-Dietrich 12Eb engines, in 1925-30. 20 aircraft were reportedly the longer-range reconnaissance variant, but details are not known. the first Br.19 entered Polish service in 1926, but most were delivered in 1929-30. They were withdrawn from combat units in 1932-37, and used in training units until 1939. They were not used in combat during the Invasion of Poland of 1939 and most were destroyed on the ground. Royal Romanian Air Force bought 50 Breguet 19 A2s and B2s in 1927, then 108 Br.19 B2s, and five Br.19.7's in 1930. They were in service until 1938. Soviet Air Force bought one aircraft for tests. Aeronx�utica Militar bought a prototype and a license in 1923, and started production in the CASA works, in A2 and B2 variants. The first 19 aircraft were imported, the next 26 completed from French parts, then 177 were manufactured (50 of them had Hispano-Suiza engine, the rest the Lorraine-Dietrich 12Eb engine). The Breguet 19 was the basic equipment of Spanish bomber and reconnaissance units until the initial period of the Spanish Civil War. In July 1936, there were less than hundred in service in the Spanish Republican Air Force. They were actively used as bombers during the war, especially on the government's side. In 1936, the Nationalists bought an additional twenty from Poland. With an advent of more modern fighters, the Br.19 suffered many losses, and after 1937 were withdrawn from frontline service. The Republican side lost 28 aircraft, and Nationalists lost 10 (including 2 Republican and 1 Nationalist aircraft, that deserted). The remaining aircraft were used for training until 1940. Picture - Sabiha Gx�kx�en holding a bomb before the bombardment mission over Dersim with her Breguet 19. Turkish Air Force bought 20 Br.19 B2s, then 50 Br.19.7s in 1932. Some of these aircraft were used in bombardment and reconnaissance missions during the Dersim Rebellion. Royal Air Force bought one aircraft for tests. Venezuelan Air Force operated 12 aircraft. Yugoslav Royal Air Force bought 100 Br.19 A2s in 1924, and in 1927 acquired a license to manufacture them in a new factory in Kraljevo. The first batch of 85 aircraft were assembled from French parts, and a further 215 were built from scratch. The first 150 aircraft in Yugoslavian service had Lorraine-Dietrich engines, the next 150 - 373 kW (500 hp) Hispano-Suiza 12Hb engines, and the last 100 - 313 kW (420 hp) Gnome-Rhone Jupiter 9Ab radial engines. From 1932, the Br.19.7 variant was manufactured - the first five were built in France, the next 75 in Kraljevo (51 according to other publications), and a further 48 aircraft, lacking engines, were completed in 1935-1937 as Br.19.8's, with 582 kW (780 hp) Wright Cyclone radial engines. (Some publications give different numbers of Yugoslavian Bre.19s). Some of these Yugoslavian aircraft were used in combat after the German attack on Yugoslavia in 1941. SFR Yugoslav Air Force operated one Croatian Br.19 taken by its pilot and delivered to the partisans of Tito, and used in June-July 1942, until it was shot down. Another two, captured by the new Communist government forces in April 1945, were used to pursue Ustashes. Both standard and modified Breguet 19s were used for numerous record-breaking flights. The first was the Br.19 prototype, which won a military aircraft speed contest in Madrid on 17 February 1923. On 12 March 1923, it also set an international altitude record of 5,992 m (19,660 ft) carrying a 500 kg (1,100 lb) load. It was later bought by Spanish government. Many crews made long-distance flights in Br.19s. In February 1925, Thieffry flew from Brussels to Leopoldville in central Africa, a distance of 8,900 km (5,500 mi). Two Br.19 A2s were bought by the Japanese Asahi Shimbun newspaper and fitted with additional fuel tanks. They were flown by H. Abe and K. Kawachi on the Tokyo-Paris-London route in July 1925, covering 13,800 km (8,600 mi). 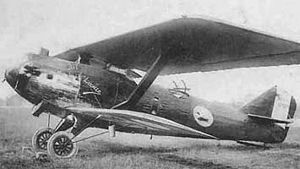 Between 27 August and 25 September 1926, the Polish crew of Boleslaw Orlinski flew the Warsaw-Tokyo route (10,300 km/6,400 mi) and back, in a modified Br.19 A2, despite the fact that one of its lower wings was broken on the way. Between 1927 and 1930, Romanian, Yugoslavian and Polish Br.19s were often used in Little Entente air races. Breguet 19 GRs and TRs set several world records, mostly of long-distance non-stop flights, starting with Arrachart and Lemaitre's 3,166 km (1,967 mi) flight from Paris to Villa Cisneros in 24� hours on 2-3 February 1925. On 14-15 July 1926, Girier and Dordilly set a new record of 4,716 km (2,930 mi) between Paris and Omsk, beaten on 31 August-1 September by Challe and Weiser's 5,174 km (3,215 mi), and on 28 October by Dieudonne Costes and Rignot's 5,450 km (3,390 mi). From 10 October 1927-14 April 1928, Costes and Le Brix flew a Br.19 GR (named Nungesser-Coli) around the world, covering 57,000 km (35,418 mi) - though the journey between San Francisco and Tokyo was taken by ship. The Super Bidon was created especially for the purpose of a transatlantic flight. It was named Point d'Interrogation ("The Question Mark"). 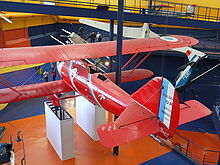 Dieudonne Costes and Maurice Bellonte set a non-stop distance record of 7,905 km (4,911 mi) from Paris to Moullart on 27-29 September 1929 on this plane. Then on 1-2 September 1930, they flew from Paris to New York City, a distance of 6,200 km (3,900 mi) making the first non-stop east-west crossing by a fixed wing aircraft of the north Atlantic. 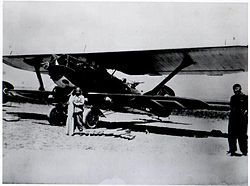 The second Super Bidon, the Spanish Cuatro Vientos, vanished over Mexico with M. Barberan and J. Collar Serra, after a transatlantic flight from Seville to Cuba on 10-11 June 1933. 1 x� fixed, forward-firing 7.7mm (.303 in) Vickers machine gun, and two flexible, rearward-firing 7.7 mm (.303 in) Lewis Guns. Breguet 19 Pictures and Breguet 19 for Sale.